Dr. Tetsuo Ashizawa is a board-certified neurologist that has been taking care of patients with inherited neurodegenerative disorders. He is known as a world-class expert and leader on ataxia, myotonic dystrophy and Huntington’s disease. 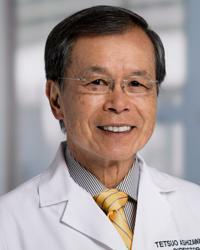 He has initiated clinics specialized in these diseases at Baylor College of Medicine, UTMB and University of Florida, where he conducted clinical research and therapeutic trials. He has published 185 peer-reviewed original papers, 12 invited reviews, 9 invited editorials, and 32 book chapters.